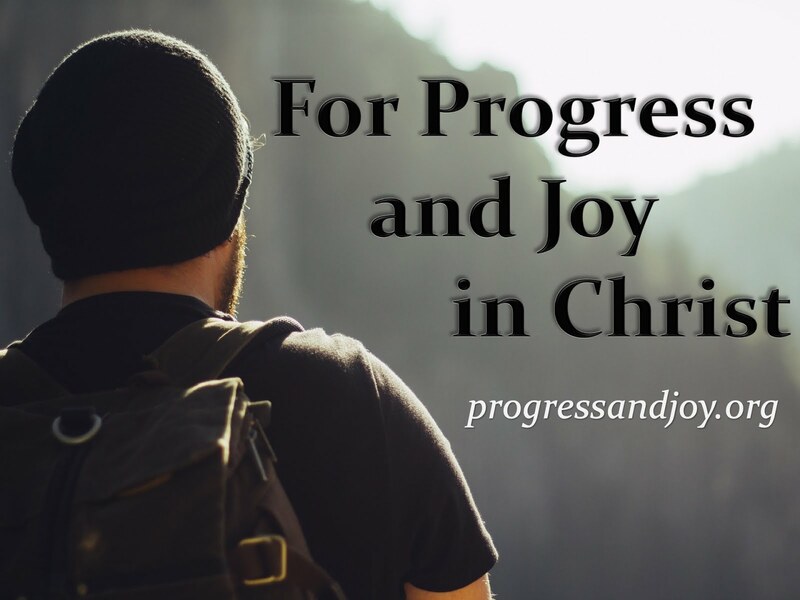 Progress and Joy: Matthew 28:16-20 What is the Mission of the Church? Matthew 28:16-20 What is the Mission of the Church? The twelve chosen disciples, who were made Apostles, were now down to eleven. Judas Iscariot had fulfilled Scripture, obeyed Satan, and ultimately went to the place where he belonged. The remaining eleven had basically scattered, except for John who had followed Jesus to the trial before the Sanhedrin and then to Calvary where Christ was crucified. Now the eleven have been restored to fellowship and obedience. They have followed the command of Jesus to go into Galilee to a certain mountain. At the beginning of the 28th chapter, Matthew recounts how an angel of the Lord commanded the women who had gone to the tomb to tell the disciples that Christ had been raised from the dead and the He was going ahead of them into Galilee where the disciples would see Him. Jesus met the women on their way to tell the disciples, and He tells them the same thing, “Do not be afraid. Go and tell My brethren to go to Galilee, and there they will see Me.” The women were obedient and so were the disciples. Apparently, Jesus gave them a specific location on a mountain, or hillside, of where to meet Him. Notice a couple of things: first, special things often happen on a mountain in the Bible, and especially in Matthew; second, this takes place in Galilee which is Gentile territory. Put these two ideas together, and you can see that the Lord is about to reveal something special that is going to be for the whole world. Now look at verse seventeen. How awesome would it be to see the resurrected Lord?! When the group of disciples saw Him, all they could do was bow down to Him. They literally bent their knees and bowed their faces to the ground. While they all did this, some of the group doubted. What did they doubt? Did they doubt themselves, or what they were seeing, or the resurrection? The word Matthew chooses for doubt refers more to hesitation than to unbelief. I think that some of them were confused and did not know how to react to this encounter with the risen Lord. 18 And Jesus came and spoke to them, saying, “All authority has been given to Me in heaven and on earth. . . .
We have already seen the stage set for something special. What is it that Jesus will do or say? He comes and speaks. The first thing he says is, “All authority has been given to Me.” Do you realize the magnitude of this statement? This is the One was born of a virgin, lived a sinless life, taught the deep things of God, performed mighty miracles, willingly gave up His life on a cross for the sins of the world, and was raised from the dead. This is the One who says, “All authority is Mine.” What is the scope of His authority? It is all authority in heaven and on earth. That covers it all! We have come to the climax and conclusion of Matthew’s Gospel. Matthew has been leading to this point, showing that Jesus is King over all. Now we hear and see it plainly. What is it that Jesus is saying? How is it that He can make such a claim? This claim can only be true if Jesus is fully God. Only God has authority in heaven and on earth. Yet, Jesus is distinct from the Father. This authority “has been given” to Him in the sense that He has fulfilled all He intended to do according to the Father’s plan. He has paid for the sins of many as the substitute on the cross, and He has been raised from the dead. When did He give it up so that now He can receive it again? When Christ came in the likeness of men and put on flesh, He emptied Himself of His divine authority. While He still exhibited great authority and power, He was limited during His ministry. Now He has returned to that glorious place of sovereign power and authority with the ransom for sin paid and the resurrection as a thundering statement of victory. This is the basis on which Christ makes His command. He uses the word “therefore” to say, because I have all authority (on that basis), I command you to go and make disciples. What a privilege it is to know the One who has all authority in heaven and earth! What an obligation it is to be entrusted with His commands! On the basis of all that we have discussed, the Lord Jesus commands His disciples to go and make disciples of all the nations. Christ’s authority extends over all the nations, and the Good News of His sin-forgiving, life-giving work is to stretch out to all the nations. Yet, the emphasis is not so much on going, but it is really about making disciples. That can be done here and there. In fact, it must be done here and there. The main point is that disciples are to be making more disciples wherever they find themselves in this world. The word “disciple” means “learner.” The Lord commands us to make learners. We are not talking about simply getting people to raise their hands, sign a card, or come down the aisle. We are talking about uniting people with Christ through baptism and helping them to become life-long learners through teaching them to observe all the things Christ has commanded. That is a true disciple, anything less than that is not worthy of the call that we have found in Jesus Christ. We can see this described in the next couple of phrases. At the end of verse nineteen and the beginning of verse twenty, we get two primary components of the process of making disciples. First, a person who has heard the Good News, believed it, and repented of their sins must be baptized. Second, that person must be taught to observe the commands of Jesus. Let us start with the baptizing. The word most naturally means to immerse. In the context of the New Testament, it means to be immersed in water. A passage of Scripture such as Romans 6 makes clear the fundamental nature of baptism and the Christian life. We are taught in that chapter that baptism united the believer with the Lord Jesus Christ. We are united with Him in death and resurrection. Baptism is the time when we begin to walk in newness of life. It marks the beginning of our Christian lives, our eternal lives. To be baptized in the name of the Father and of the Son and of the Holy Spirit is to come into union with the Triune God. It is to become completely associated with all that He is, all of His person and accomplishments. When a person has heard the Gospel, believed it, repented of their sin, and been baptized, they have just begun! After that initial conversion, they are to spend the rest of their lives learning to observe all that Christ has commanded. I have been called to be a pastor/teacher, so I have a great part in helping you to follow Christ’s commands, but guess what? We have all been commanded to teach others. We are to continue to make disciples until the end of the age, and Christ will be with us every step of the way. That is a promise. We know that this promise is true and that He will be faithful to it for several reasons, one of the greatest being His fulfillment of the Father’s plan. He saw it through until the end. He will also see us through until the end. Christ’s return will mark the end of this age. He will return in the clouds, physically and literally. Until that day, Christ will be present with us by means of the Holy Spirit. He is truly Immanuel, God with us. All Authority – All the Nations – All Things – Always. This is an all encompassing summary of what Christ has done and intends to do. It is an all encompassing passage declaring our mission in this world. In the Upper Room the night of His betrayal and the night before His crucifixion, the Lord Jesus prayed to the Father and said, “I do not pray that You should take them out of the world. . . .” If we are left here, what is the purpose? Here it is: Be fruitful and multiply, that is, Go and make disciples.